This début novel is possibly the quirkiest one I’ve ever read. It’s set in a care home from hell, Green Oaks, which is directed/neglected by Raymond Cornish, a middle-aged guy who needs serious therapy himself and spends most of his time ensconced in his office, masturbating and leching over a teenage girl he can see out of the window at the bus stop most days and with whom he’s determined to get his end away. The residents of Green Oaks suffer from dementia in varying degrees. Their elected commander-in-chief is someone who calls himself Captain Ruggles, having constructed from his delusions a complete history of his heroic actions in the war. He’s a wonderful character who you can’t help but applaud for his constant rebellion against the Care Friends (Carers) whom he believes are Nazis controlling the prison camp of which he’s an internee; hence his frequent attempted escapes. The Care Friends are total pieces of work, especially with their Supervisor off his head on drugs most of the time. Of course the title “Care Friends” is a sick joke, as they are the worst enemies of the residents, and this is no delusion on the part of Captain Ruggles. 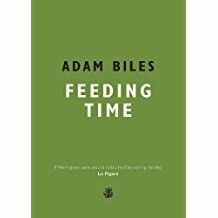 Adam Biles writes in a vivid and faultless literary style that plays on all the senses: in fact, his quality of writing is excellent. However, I decided to award his novel four rather than five stars for the following two reasons. My first problem with the story is that in the real world, I cannot imagine a care home going so off the radar that it isn’t subject to regular statuary inspections. In the case of somewhere as bad as Green Oaks, at the very least it would be subject to warnings to improve followed by unannounced inspections, but more likely it would be a candidate for instant closure. As for the residents’ relatives, it seems too far-fetched that their visits are so rare and that they are so easily conned by the annual “show”, when the Care Friends give the home a temporary face-lift for their benefit. My second problem is that there is too much preoccupation with bodily functions. Yes, I know that people suffering from dementia lose control over their bowels and bladders, and can become generally disinhibited in their behaviour, but there is just an overdose of excrement of one kind and another. Also, there was one chapter in the book about a rotting corpse, where things became so gross that I had to skim read a number of pages, and skim reading is something I rarely do. So I feel bound to warn readers, do not open this novel when eating, as you will definitely lose your appetite fast. 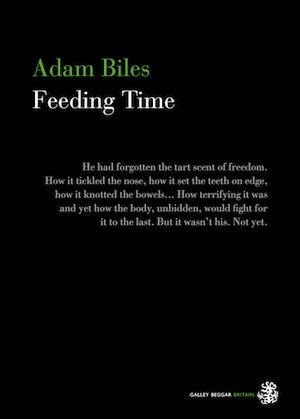 Would I read another novel by Adam Biles? Yes. I love his originality and his fluent prose, plus, I think that if he keeps writing, he’ll be a serious contender for a much-coveted literary prize sometime in the future. As a footnote to this review, I feel compelled to give a special mention to the limited edition that is in my possession as it’s a wonder to behold. The publishers, Galley Beggar Press have produced a book that is simple and yet classy in design. I love the minimalism of the soft back black dust jacket with green interior, the blurb, and the author’s bio. There are also some wondrous, surprising, and fun black and white illustrations by Melanie Amaral and Stephen Crowe throughout the book. Please note that the limited edition described above, I ordered direct from the publishers, Beggar Galley Press. However the mass-market paperback and Kindle editions for sale on Amazon (UK) & (US) are green, although the green paperback edition is also available direct from the publisher. That would be quirky, all right! I am very curious about it, which could very well lead to a purchase. Thanks for the review, my friend. Have a great weekend! It’s certainly different! Also, Adam Biles comes up with some paragraphs that are astoundingly brilliant, especially some of his first-impression descriptions of characters. I did laugh out loud many times, and suspected that during its most over-the-top moments, the novel had descended (or ascended, depending upon how you see it) into full-scale satire. I do hope you purchase it, Bill, as I would love to know your opinion of it. You have a great weekend, too, my friend. Well it must really be quirky if you say that Sarah 🙂 It does sound an interesting concept. I think you’d need to have a strong stomach not to wince at some of the descriptions. To think that I used to listen to other nurses in the canteen discussing gross things over breakfast, but, even so, there is beyond gross, hence the skim-reading!